Patients Beyond Borders is a real medical tourism success story, and Josef Woodman, its CEO, is an unlikely but totally likeable hero. I remember the first time I met Joe. He came to see me at Bumrungrad International to pitch me on an idea for a medical travel guidebook. I’ll admit that I was a more than a little skeptical. One, I was constantly getting pitched “new” ideas about medical tourism, and two, Joe didn’t fit the mold of a healthcare guy (whatever that is). But, we quickly found common ground – we are both from North Carolina and we both love barbeque – and that was that. So we did what a couple of southern boys do; we kicked back, put our feet on the desk and swapped stories. Joe told me about his early ventures in publishing and software and I told him how I found my way to Bangkok and Bumrungrad International. The more I listened to Joe the more I liked him. He was an adventurer who took the road less travelled. He didn’t tell me how he was going to make millions in healthcare; his mission was engaging the millions looking for better healthcare. Joe successfully published the first edition Patients Beyond Borders in 2006 and then branched out into country editions for Singapore, Malaysia, Turkey, Taiwan, etc. Each publication got better and better, thanks in large part to Vanessa Spann’s keen eye and deft touch. I remember seeing him at the World Health Care Congress in Washington DC in 2006 and telling him that Patients Beyond Borders was going to be the Lonely Planet of healthcare. I am happy to say I was right about that. Over the years, Joe and I have worked together on various projects, and I have been witness to his work ethic and passion to make a difference in healthcare. I know from experience how difficult it is working with hospitals and getting traction, let alone money, for an idea or product. Despite the odds, he continues to push the medical tourism industry forward by keeping it relevant and in the public eye. There is a reason Patients Beyond Borders is the go-to source for media and Joe Woodman is it. Patients Beyond Borders has been instrumental in getting international hospitals, in particular, and the healthcare industry, in general, to participate in a larger discussion around price transparency, quality and service. If the medical tourism industry wants to grow up, it needs to publish numbers backed by hard data using standardized methods and published by credible 3rd party sources. 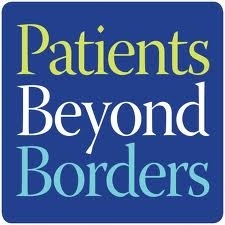 Is Patients Beyond Borders perfect? No. Is it a step in the right direction? Absolutely. I often say only crazy people work in healthcare. You are either crazy to go into it, or it will make you crazy once you are in it. If you are looking for fame and fortune, then healthcare is the wrong place to look (unless you are the CEO of McKesson). Still, healthcare offers something unique; the opportunity to impact lives in a way that few other industries can. It is the greater good, and sometimes you meet great people along the way doing good.